The Musical Minds Project was founded in 2001 and uses music as a tool to advance and develop children living in underprivileged circumstances. About 240 children participate in the project at the Moadoniot (After-School Enrichment Centers) and approximately 300 additional children in schools participate in the project as well. Beyond diverse music studies, the children participating in the program benefit from improving their social skills, communication abilities, ability to listen to others, gross and fine motor skills, and literacy. In the past, the program focused solely on music. In recent years, the program has expanded and currently includes visual arts, movement, and martial arts in addition to the music. 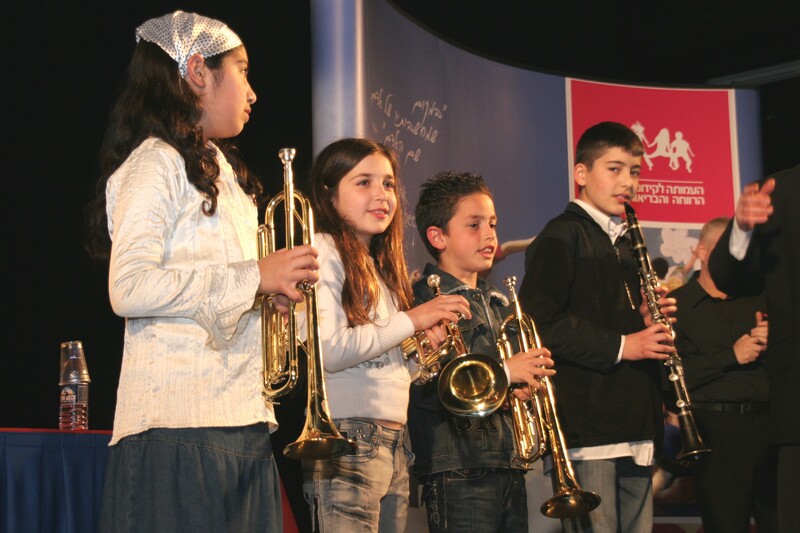 Music lessons include voice lessons, choir lessons, early childhood music, listening to music on the computer, and learning how to play musical instruments such as the violin, the electronic keyboard, the recorder and the Darbuka drum. Since 2013, the Institute has focused on establishing choirs in its various venues. The Institute now has three choirs and intends to consolidate them into one big choir. The choirs perform at the Institute’s events and are incorporated into performances in front of the community .